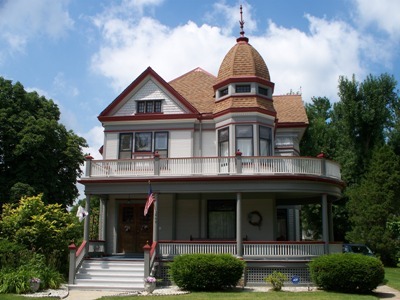 As an Independent Agent, I can offer competitive rates by quoting your Michigan home with several different companies. Insurance rates vary by replacement cost of home, location, coverages , credit and claims history. Coverage A on your policy is determined by the replacement cost of your home. This coverage pays damages to the dwelling. Partial losses can be covered on a replacement cost basis, also. Actual Cost Value (ACV) coverage may be provided when necessary. Coverage B on your policy-Coverage amount automatically 10% of your Dwelling coverage. This coverage pays for damage to structures detached from your home on the property insured. Example: Detached garage, shed, barn. An endorsement may be added to increase this amount for more adequate coverage. Coverage C on your policy- Personal property coverage generally is 50% of the Dwelling coverage on an ACV (actual cash value) basis. Personal property Coverage pays for damage or loss of personal property within the dwelling and or other structures. Endorsements may be added to policy to increase coverage to 70% and to add Guaranteed Replacement Cost coverage. Coverage D on your policy, Coverage amount also varies by company. Generally this coverage is 20% of the dwelling amount, however some companies offer an actual cash value. Loss of use coverage pays for the expenses you incur while residing elsewhere during the repairs of your home resulting from a loss. Coverage E on your policy- Liability coverage protects you against claims for injuries to others or damage to the property of others caused by your negligence. Some medical expense coverage and legal defense costs are also provided. Coverage amounts vary. Coverage F on your policy- Med Pay provides coverage for necessary and reasonable charges from an accident. Personal Property Replacement Cost-Personal property coverage is provided without deduction of depreciation. Extended Dwelling Replacement Cost-provides extended coverage beyond the Dwelling Coverage limits. Extended coverage varies by company from 25% to Guaranteed Replacement. Identity Theft- provides coverage for expenses incurred as a result of identity theft. Covered expenses include loss of wages and cost incurred by the insured to repair the damage caused by the theft or improper use of their credit records. Coverage amounts vary. Back of Sewer and Drains Coverage-provides coverage for loss caused by water which backs up through sewers or drains, or water then enters into and overflows from within a sump pump or sump pump well. Coverage amounts vary.